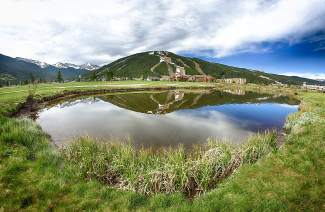 Copper Mountain Resort will be getting a face-lift for the winter season. The resort plans to get rid of the Storm King chairlift, which has been in operation since 1985, and replace it with a newer, faster version. “The new surface lift will provide a substantial upgrade to the Storm King and overall high alpine skiing and riding experience,” said Copper spokeswoman Austyn Williams. The new lift will be located in the same position at the current lift, but will provide an uphill capacity of about 1,000 people per hour, Williams said. The lift replacement plan also includes the addition of a t-bar, she said. Subject to approval by the U.S. Forest Service, Copper also will install a second new lift, the “West Ridge Platter,” which will connect the top of the Sierra lift with the top of Mountain Chief. In addition to the new chairlifts, Copper is adding four new snow cats to its fleet and plans to continue snowmaking improvements.